It’s Monday. Boo. How about another round up of our favorite Etsy finds? Yay! 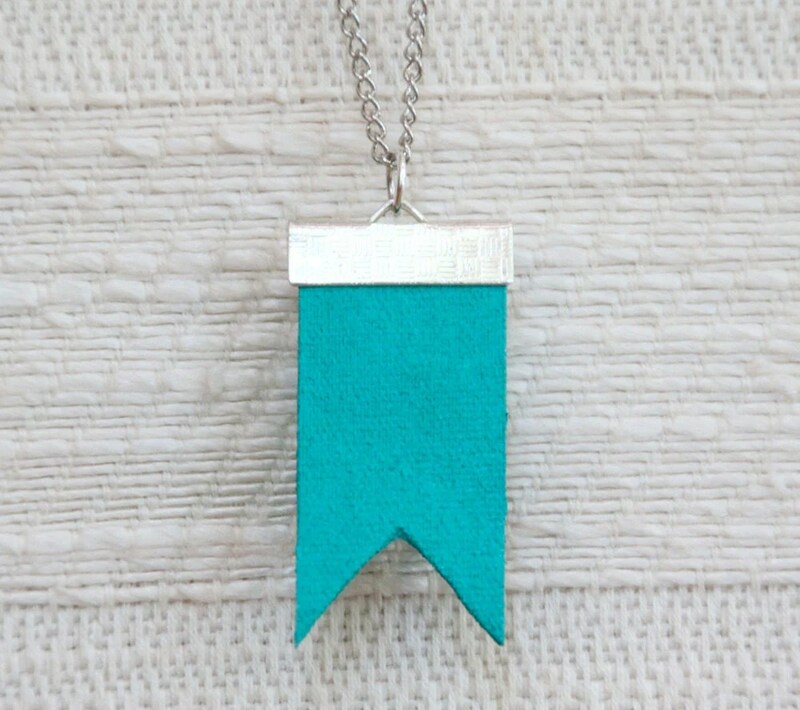 This Teal Flag Necklace by Letter Happy is just darn cute. I think a child would love something like this. Like my Safety Book but need more storage? 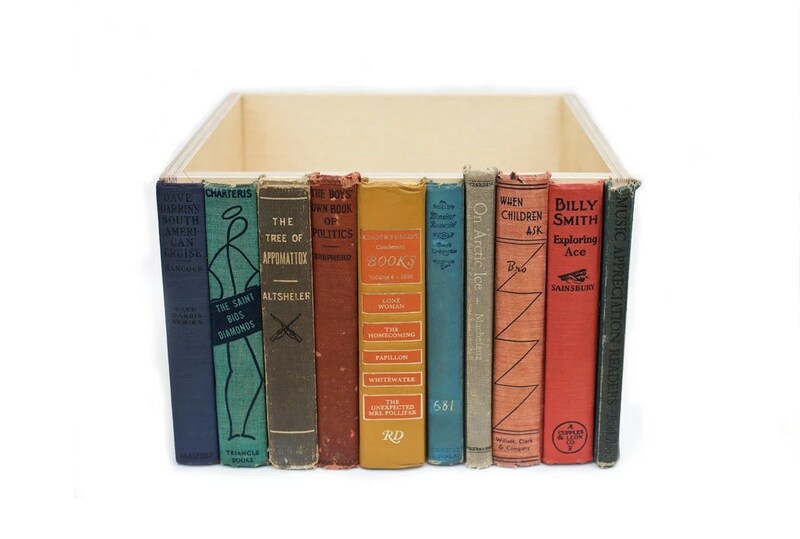 Check out this Library Storage Bin from Roadside Photographs. That ought to do it. I can’t seem to stay away from pillows. 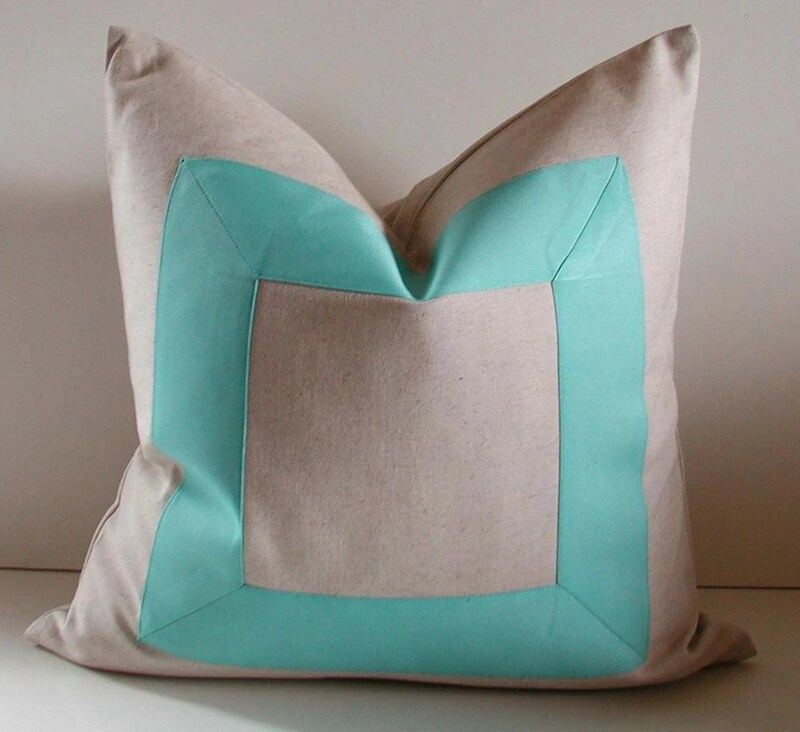 This Aqua Ribbon Pillow by Studio Tullia is a modern take on a classic, and I love it. 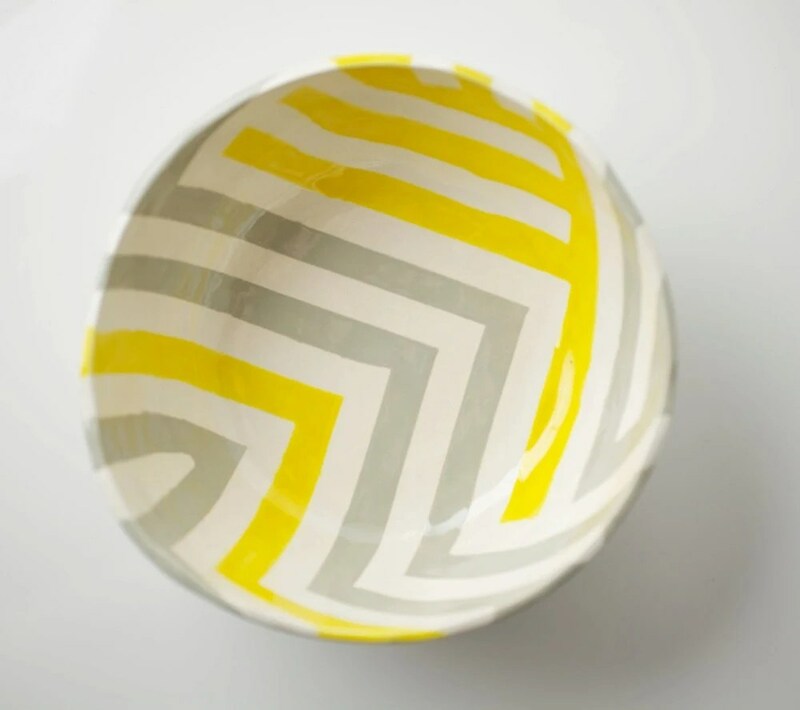 Grey and Yellow Zag Bowl from Up in the Air Somewhere. Seriously, love everything about this. 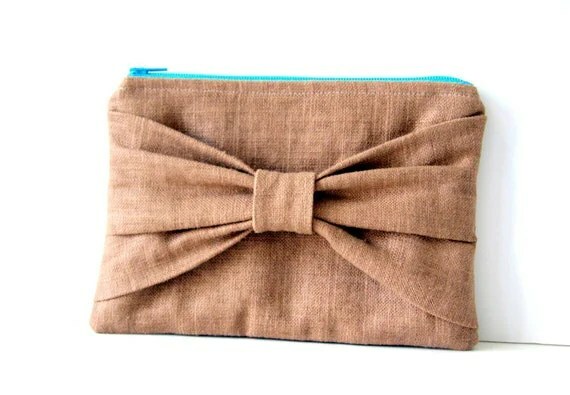 A Bow Pouch from Sassy Stitches by Lori is adorable and functional. Do you remember making friendship bracelets? 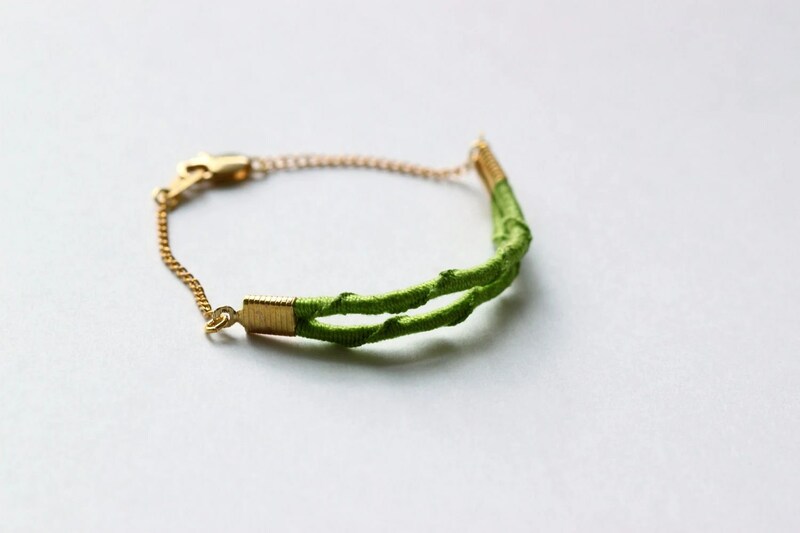 Well, here’s an adult version, Macrame Bracelet by Under a New Light. 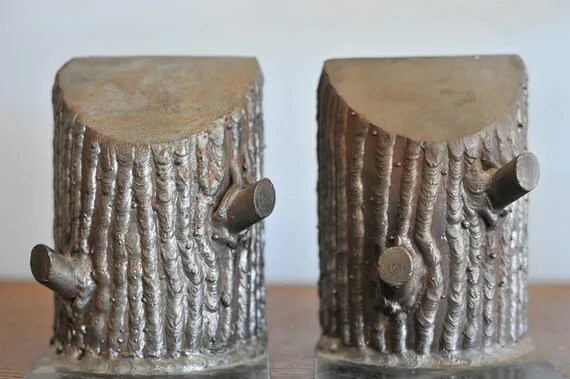 Vintage Tree Stump Bookends at The Wild Plum. Faux bois, function, and vintage. 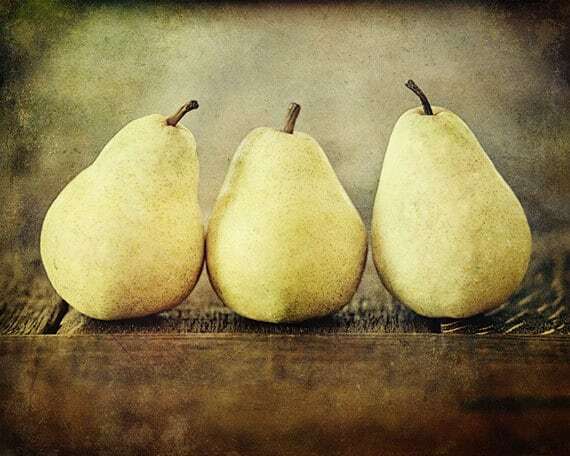 Three Rustic Pears print from Lisa Russo Photography has a great feel for a cottage kitchen. 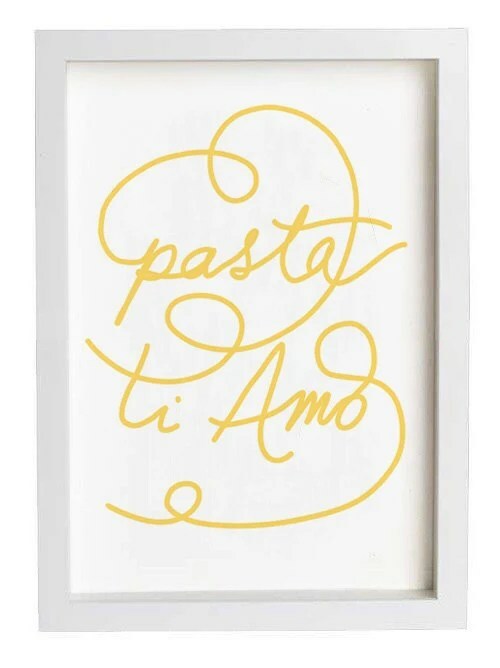 Pasta Ti Amo Print by Anek because Pasta, I love you, too. 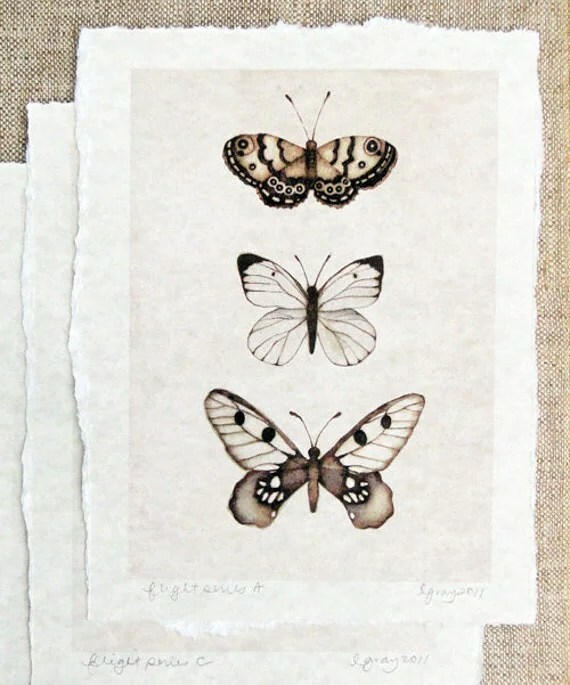 Butterfly Art from The Haunted Hollow Tree is pretty and earthy. 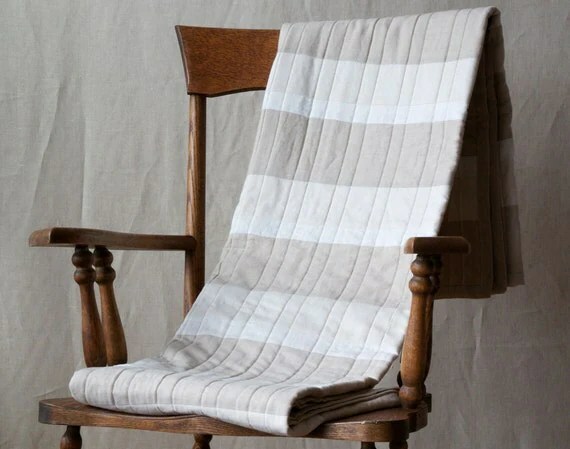 Linen Quilt Throw by Lori Mason Design looks so cozy, I’d like to curl up in it. 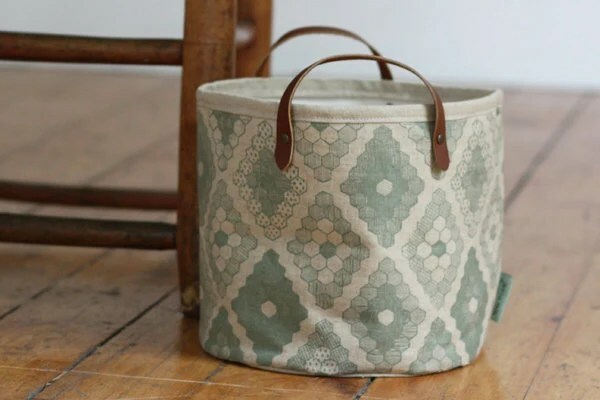 A pretty Honeycomb Bucket by Jenna Rose Handmade can corral a variety of goods; magazines, craft supplies, and more. As often as I gravitate toward pillows, I’m drawn to lighting. 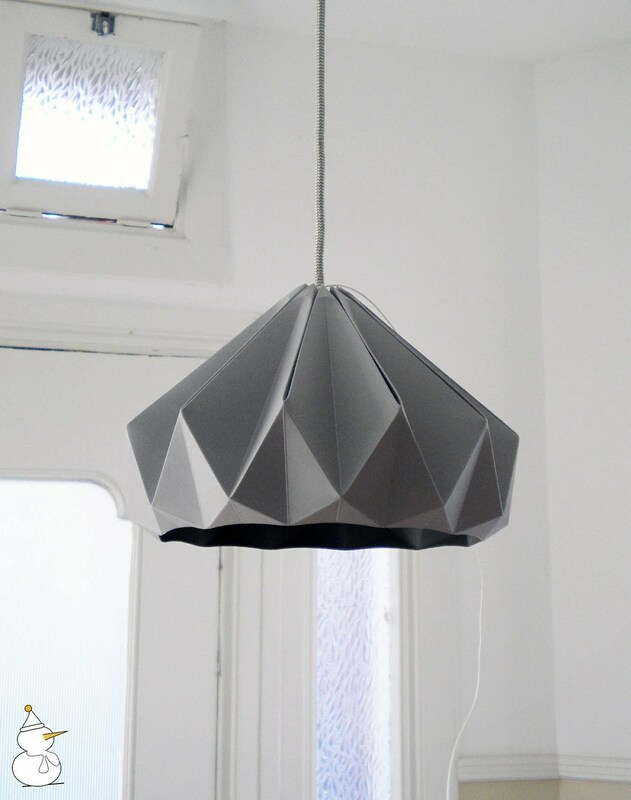 This Grey Origami Lampshade from Nellianna is reminiscent of a Le Klint design. 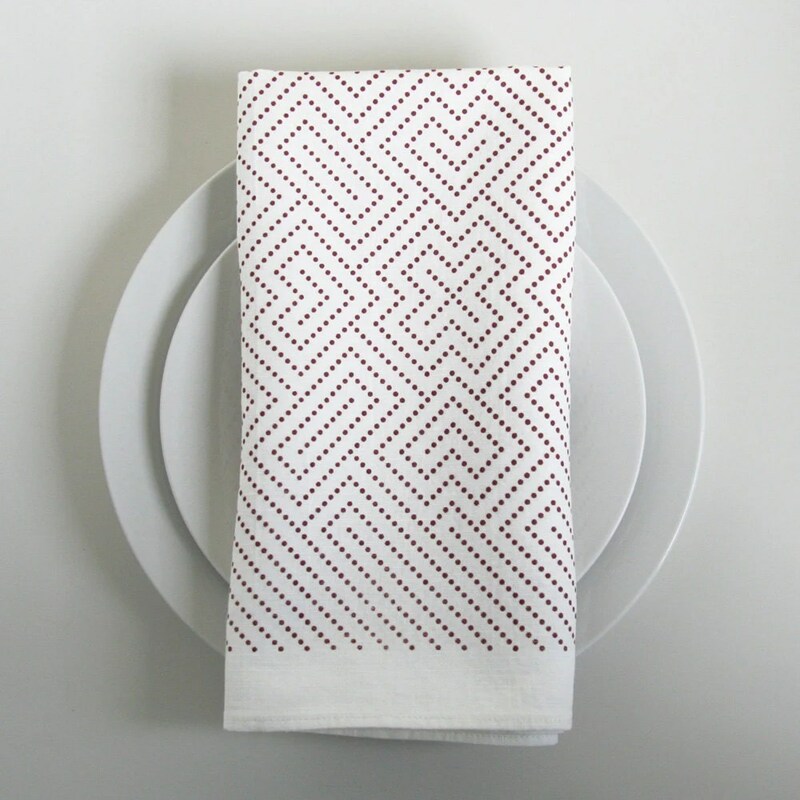 Be eco-friendly and stylish while using these Labyrinth Napkins by Soraam. 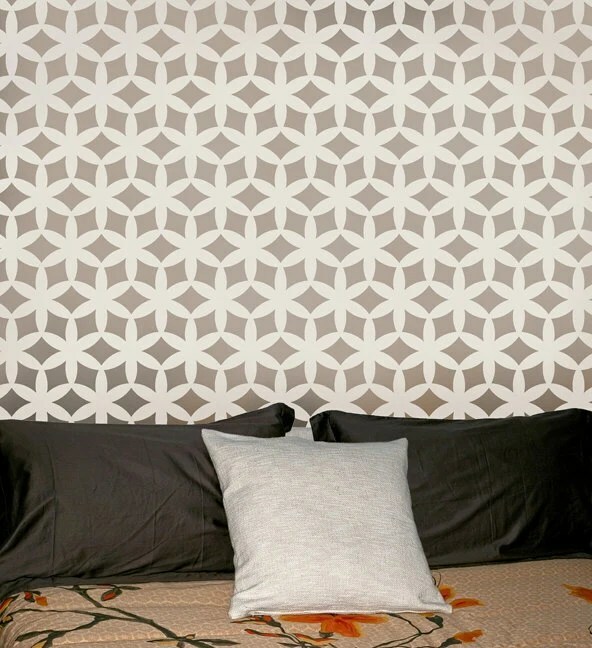 Add interest to a plain wall using this Kagami Stencil from Cutting Edge Stencils. 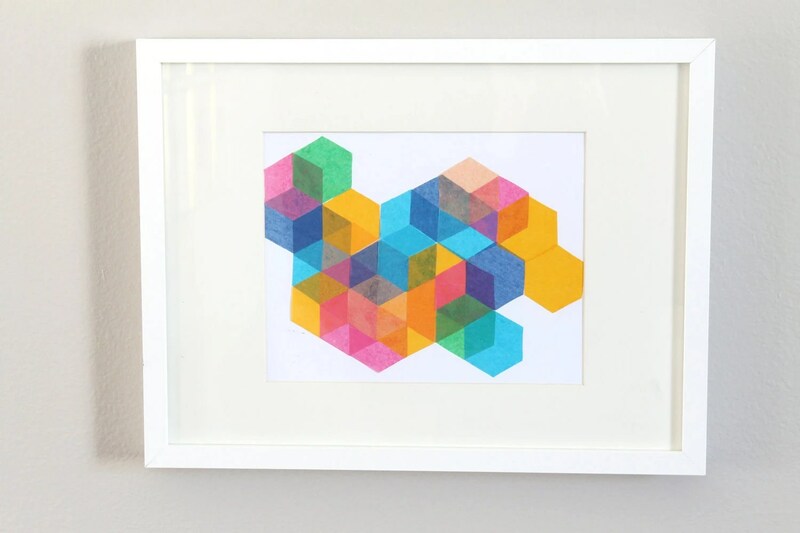 Julia makes such stunning art, like this Falling Blocks Collage by Chris Loves Julia. 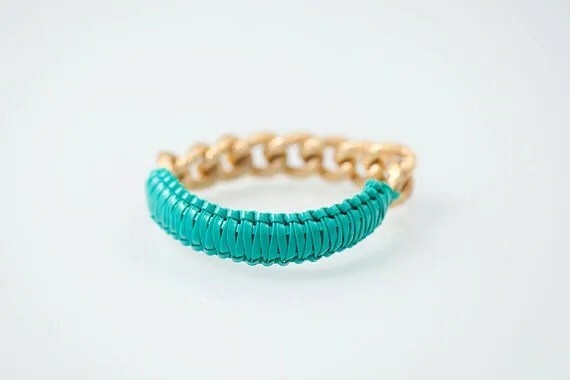 The colors and texture of this Turquoise bracelet from Bfrend is fantastic. I can see why you have to preorder. 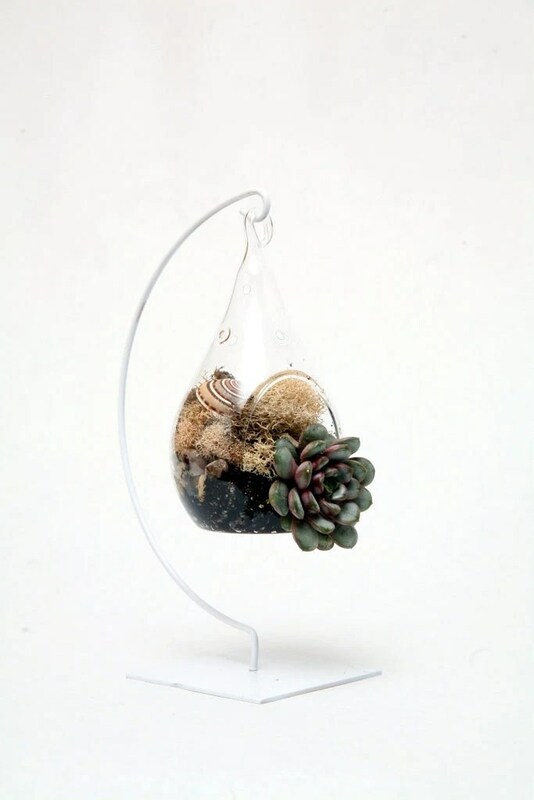 If you’re a plant killer, try this pretty teardrop terrarium from Tall Poppy Gardens. 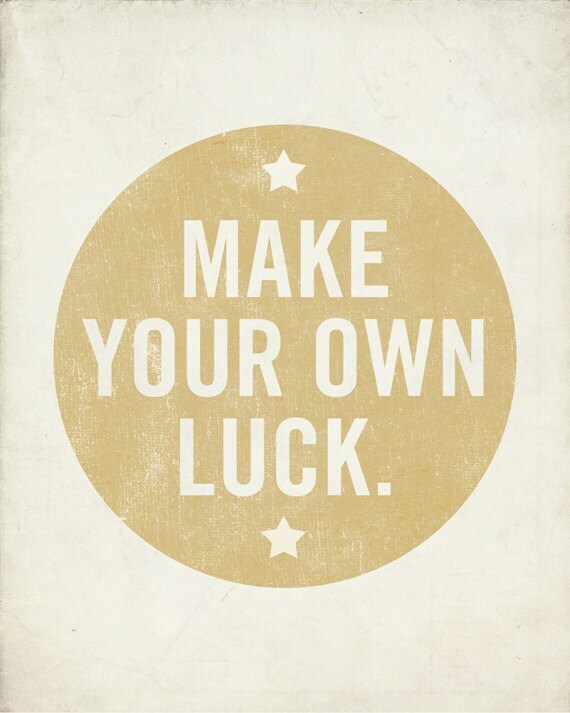 You’ll feel lucky each time you look at this Make Your Own Luck print by Lucius Art. 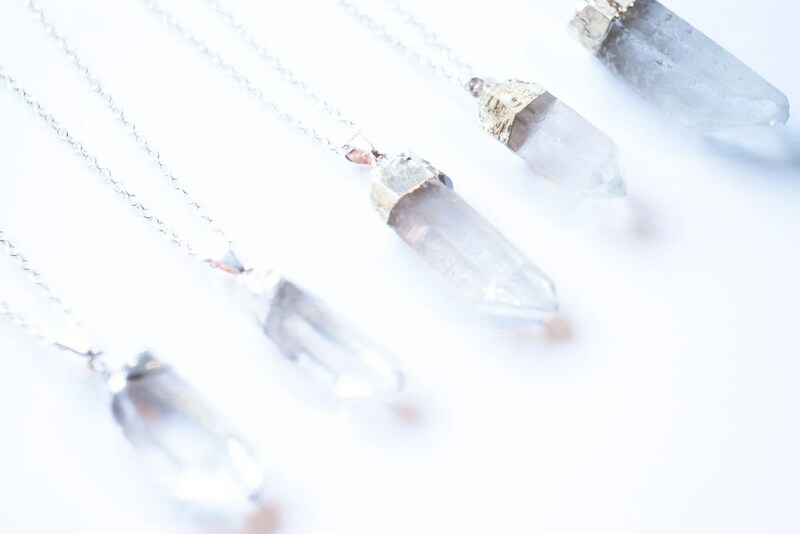 Naturally pretty, these silver dipped crystal quartz necklace by Still With You add glam to any ensemble. 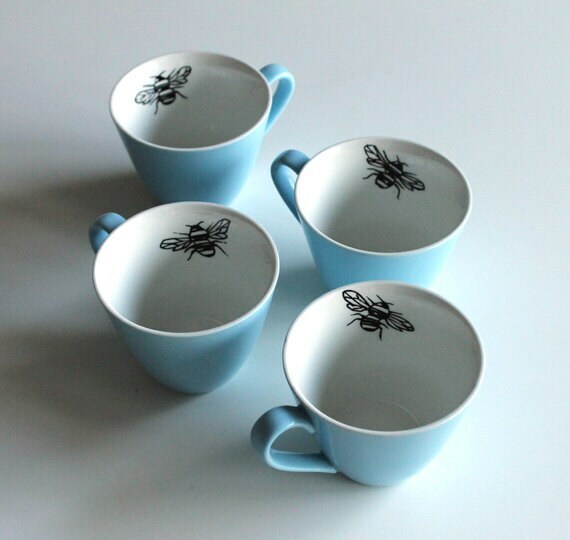 These vintage queen bee cups from Yvonne Ellen are the bees knees. What’s your most recent favorite? P.S. Apartment Therapy’s Homies Awards are back. Nominations are going on now through March 2nd and we’d really appreciate your help. If you have a minute, would you mind adding our name to the Best DIY blog nominations? Big virtual hugs going out to you! Thanks for including me in your roundup, Amanda! I voted for you, too! I love them all! Thanks for sharing. I LOVE the bow pouch and the throw!!! You have popped my etsy cherry! That terrarium is beautiful! Thanks for posting! Lovely blog! Thanks for including my necklace, I’m honored! Voted for you!! Your blog is awesome! !